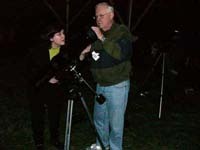 Charlottesville Astronomical Society – "Promoting the Enjoyment of Observing and Learning for All"
Charlottesville Astronomical Society (CAS) is an organization founded to promote the enjoyment of observing the stars and planets. CAS caters to individuals of all ages and levels of astronomical experience. We wish to interest the public in astronomy through naked-eye, telescopic, and binocular viewing as well as through talks our organization sponsors. We are fortunate to live in an area that can boast of relatively dark nights and where the Milky Way can still be seen just outside of Charlottesville. Join us as we explore the universe together! Our Society has much to offer in information and activities for budding amateur astronomers as well as those who are simply curious about space. But, most of all, we try to make astronomy a thrilling experience for everyone. 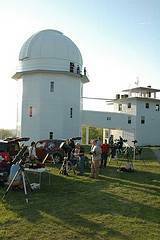 Regular Meetings are held at historic University of Virginia’s McCormick Observatory on the first Wednesday of each month from 7 pm to about 9 pm. We typically have a guest speaker each month that provide presentations on variety of astronomical topics from cosmology to observing techniques. On clear nights, we offer attendees an opportunity to observe with the 26″ Leander McCormick Telescope. Other public events are also often scheduled. Anyone with an interest in astronomy, experienced pros or beginning amateurs, families and visitors are all welcome. 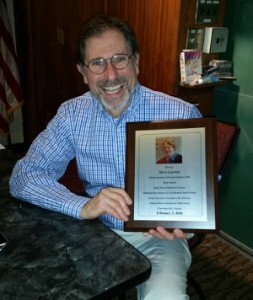 Former Charlottesville Astronomical Society President Steve Layman was presented with the 2016 Heidi Winter Award at the February 2016 club meeting. Header Image Credit to Steve Reilly, NGC 6960.